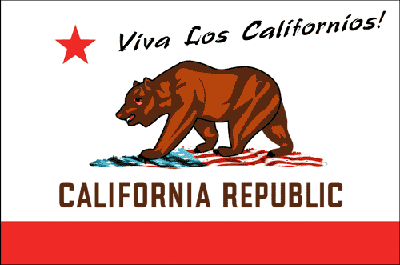 To whom will you turn, California? In the end, who will recreate the miracle of fish and loaves, your standard of feeding the multitudes? Having preserved the fish only to squander the loaves. No amber waves of grain, the tide having retreated. The bread, in basket, wilting in the Central Valley sun. Having affected the grandest of immigration reform…a stalled economy. What no fence or border could manage, you’ve produced.. To your chagrin. Leaving in it’s wake, those who would not seek a proffered or tenable dream but instead suckle on a already drawn and unreplenished welfare. Will you in turn abandon this host, seeking another, like just so many parasites? Many have. Fled to more accommodating pastures, having worn their own so thin, but only finding their insatiable appetites stunted by the cost to themselves and an inhospitable host. There being no place like you. In the World. You would see it finished and the rest of us robbed. Having us bleed from the purchase of nails that were your votes. Had you opened your eyes though, if you had ever looked beyond your own tiny hovels of political correctness, the need to assuage guilt, garner acceptance, pursue bumper-sticker ideology…you might have noticed the rest of the Country taking an alternate route. The very Country you will hope see you rescued. Had you noticed anyone else, you might well have seen the other path, one not as easily traversed, one with limits, consequences, and trials but one which leads to prosperity and independence. As you’ve treated your own, so you might expect to be treated but your path has lead you to desolation. Your vote will leave you lone. Those you robbed of your stunning shorelines, your snow capped mountains and deep, clear volcanic lakes. Those denied your pristine golden valley’s and their countless roiling, twisting rivers. The theft of vast, harsh, yet fragile deserts, of lush and verdant landscapes of vine, will not, can not, be absolved. By your vote, California, you’ve robbed me of these things. By your vote and those preceding, you’ve put California out of reach of those you, so loudly and with deliberate hauteur, professed union. You will not be forgiven your trespasses. Debts to come due, cannot be assumed by those you have spurned with callous indifference. Those that plowed your fields and built your homes. We, in wanting to participate and enjoy your once plentiful and promised bounty, were held in scorn and derision. Succumbing to the burden of support for those who would do nothing for themselves, much less for anyone else. So we flee, taking our pursuit of success, our businesses and ingenuity into the wilderness. So also, the support it provided. You, left plagued, seeing the locust cloud, need follow but will be turned back. In the end, envious and hungry.